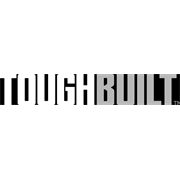 The ToughBuilt® Universal Tool Mounts allow shop tools to quickly mount onto ToughBuilt mitre saw stands. 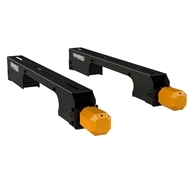 Extra length and horizontal adaptor plates make these mounts compatible with most brands of mitre saws. Rugged twists locks are easy to use, and eliminate the weak parts that commonly break on lever-handle tool mounts. With 100% steel body construction, these ToughBuilt-quality Tool Mounts withstand the harshest working conditions. Universally compatible with most brands of mitre saws. Tool Mount twist locks are rugged and easy to use. Effortlessly attach and detach your saw from a ToughBuilt miter saw stand. Plastic feet allow saw to be used off the stand with level base. Attach Tool Mounts to multiple shop tools and easily interchange tools on your ToughBuilt Miter Saw Stand for the task at hand.